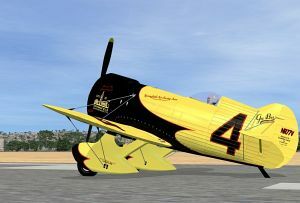 Gee Bee Model Z Supersports replica FSX sp2 Accel. Rating: 10.00 of 10 over a total of 1 reviews. This is a beautiful replica of the real version. 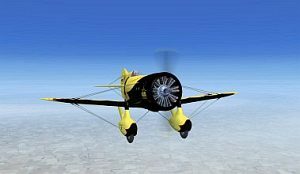 It flies very smoothly and stable. I reccomend this to all who have access site. If could, would pay 7 dollars for experience Thank you making this.